Posted By admin On June 24th 2011. Under Blog . Cold calling is a strategy that is implemented in different industries and can be successful tool for network broadening from many points of view. 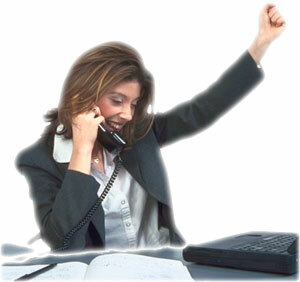 For instance, cold calling is widely used in sales and marketing for developing customer relationship. But Resume Writing Service serves for the benefit of employees and job-seekers, so in this article we are going to highlight cold calling for jobs. This job-hunting strategy can be very effective and can grant you access to lots of employment opportunities, existence of which you might have never even suspected, if regard the fact that cold calling is usually reveals unadvertised positions. Prior to cold calling always research the industry you’re interested in and especially make a thoughtful research about the company you’re intent to call. Resume Writing Service nips in the bud idea of random calling. Never call of interest: always call of intent. Start your cold calling from the least interesting companies for you. Resume Writing Service suggests you to practice first with less favorable companies, because in a case of failed conversation, you wouldn’t lose much. You should know the name of person you’re calling to: personal attention is always highly valued and is an evidence of serious attitude to every business you’re dealing with. That’s why Resume Writing Service can’t help emphasizing importance of sound preparation for cold calling. Create working atmosphere at home or at the place you’re calling from. You should feel yourself as a leader or as a head of department to be confident and to create professional impression. Resume Writing Service even advise you to put on formal clothes to make cold calling more convincing. Don’t call in rush hours or during lunch breaks: people might not have any wish talking to you. Morning and just after lunchtime hours (4-5 pm) are those time slots, which Resume Writing Service considers the best. Get a small script of your further conversation, pay attention to your introductory and closing words not to lose control in unfamiliar situation. Resume Writing Service also advised to get your resume in your sight, so that you will be always ready to answer questions about your experience, achievements and skills…and get an interview invitation by phone!